In 2017, an anonymous donor committed a $10 million gift to Saint Ben’s for the creation of the Center for Ethical Leadership in Action (CELA). The gift was the largest in our college’s history. A key function of the Center is to increase students’ opportunities for experiential learning, which include study abroad, undergraduate research, service learning, fellowships and, often most influentially, internship experiences. The establishment of the Center is especially important as increasing numbers of Saint Ben’s students do not have the financial wherewithal to afford an unpaid internship or other experiential learning. CELA will have the resources to offer stipends to students for whom these experiences would otherwise be out of reach. 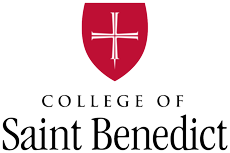 CSB, and its academic partner Saint John’s University, require that every student complete four credits of experiential learning as part of the core curriculum. The college began awarding stipends in 2017. Providing financial support such as this is an ongoing goal for the college. In addition to supporting internships and other experiential learning opportunities, the Center will create a mentoring program and host speakers designed to promote the development of ethical leaders in a variety of fields from business to medicine to education and beyond.